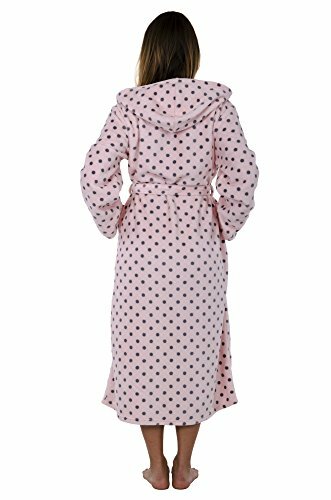 This women & micro fleece hooded bathrobe is made with a chic looking 2 colors to choose from, soft pink background with grey polka dot coral fleece fabric or our Slat Gray with soft white polka dots. Features include a wrap around waist tie and belt loops, two side pockets and a attached Hoodie. 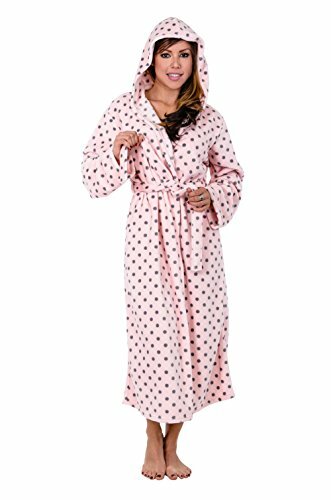 Easy going moments call for a robe like this: When you feel like lounging, wrap up in this cozy Hoody Robe and enjoy. Crafted from our special Micro Fleece soft brushed for exceptional softness, Machine wash and dry. Fit Relaxed; Full 48" length apprx mid calf length, depending on your height. 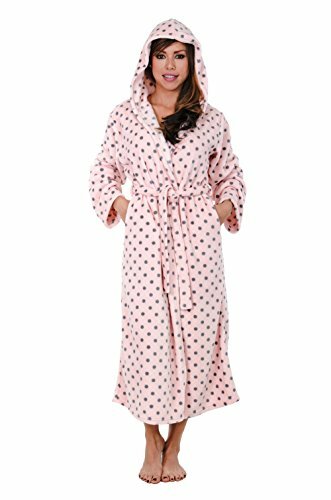 If you have any questions about this product by Love This Robe, contact us by completing and submitting the form below. If you are looking for a specif part number, please include it with your message.